Human (death doomed) nature is to dwell on the negative. 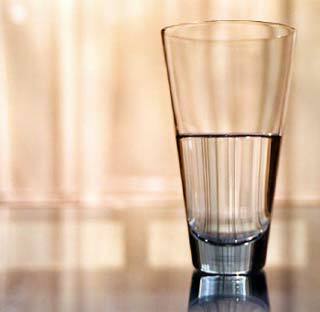 We weren’t created that way, but Adam and Eve took the bait of Satan and every since we tend to see the glass as half empty. However, if we are born again- from Heaven – we now have the Nature of our Father, God. He replaced our old nature with a new one! Sometimes out of nasty old habits, we fall back into that negative thinking. We take hold of Paul’s advice that we just read. We change what are thinking about. If you seriously feel like there isn’t a good thing in your life to think about, read the Johns, (I, II, II John and John), psalms are also good. Once you get those things into your heart, your mind can call them up to think on them. Soon you’ll find good things in and around you to think about. Never get in the habit of just thinking with your soul, your mind, will and emotions. Your souls only goes by what it can see, hear, taste, feel, smell and touch. We need to think with our spirit. Our spirit is tuned into God’s word and His will, through our hearts not our heads. Our spirit doesn’t go by our five senses. It simply hears God and judges every situation by the truth of God’s word, with the help of the Holy Spirit. So your pile of bills looks bigger than the amount in your check book. You face two choices, you can dwell on the shortage, worry and fret (which is the opposite of faith and does not please God), or you can think on God’s word about how He will provide for and take care of you. You can thank Him for what you do have and for what He will be bringing in to meet your need. I am not saying it will be easy, but I am saying it will be worth it! It doesn’t take any more energy or time to think rightly about our situation than to think negatively. Our glass is never half empty! God is always filling it up! We have to take our hand off of the glass and allow Him to pour into us. Has something praiseworthy happened this week? This entry was posted in Thoughts and tagged Bible, christian, Christianity, faith, God, God's word, help, Holy Spirit, Jesus, Lord, Salvation, scripture, trials.